Sprinkled throughout the book, Young’s story undermines a number of traditional Christian doctrines. Many have gotten involved in debates about Young’s theological beliefs, and I have my own strong concerns. But here is my main problem with the book. Anyone who is strongly influenced by the imaginative world of The Shack will be totally unprepared for the far more multi-dimensional and complex God that you actually meet when you read the Bible. Matt Chandler doesn’t feel anything when the radiation penetrates his brain. It could start to burn later in treatment. But it hasn’t been bad, this time lying on the slab. Not yet, anyway. Leadership has become a big deal for me not only in my role as dean of the Billy Graham School, but also as my denomination (the Southern Baptist Convention) faces transitioning leadership at multiple levels. I am particularly burdened about reaching out to and working with young leaders who are the future of our churches. Given my interest, the November 2009 copy of US News and World Report – an edition that focused almost entirely on leadership – caught my attention. I read it thoroughly, digesting the comments and thoughts of mostly secular leaders. What grabbed me, though, was just how applicable so many comments are to the church world. Below are some of the words of these leaders, with my corresponding remarks about church application indicated by asterisks (**). Read on, and be willing to be challenged. Kirk Stivers was tired, cold and grieving. It was the last Saturday in November and he had just returned from the funeral of one of his oldest friends, Chris Kernich. Stivers sat on the couch of his mother’s home in Beavercreek, Ohio, opened his laptop and logged on to Twitter. He needed to send a message to Cincinnati Bengals receiver Chad Ochocinco. "I knew that was the way I could really connect to him," Stivers says. That night, nearly 60 miles away, Ochocinco was in Cincinnati on the eve of the Bengals’ game against the Browns. It was just after 6 p.m. when he, too, logged on to Twitter. Chris Kernich was a devoted follower (on Twitter) of Chad Ochocinco and the Cincinnati Bengals. Before Facebook, Twitter and e-mail, if a fan wanted to reach a professional athlete, there generally were two routes: either some personal connection or a pen and paper. You’d stuff the paper in an envelope, stamp it, ship it, wait and hope. The letter probably would sit in a tub on the ground in the athlete’s locker room. If the athlete was a superstar, it likely was wedged between thousands of others. Technology has allowed social-networking sites to change the dynamic between player and fan. In particular, the emergence of smart phones has brought fans and athletes even closer. But there are no guarantees with this evolving mode of communication, either. Ochocinco, who has more than 700,000 people following him on Twitter, can be besieged with hundreds of messages in a matter of minutes, so there is no guarantee he will see a specific message; it could be wedged in the pile — just like that piece of snail mail. Mark Driscoll, pastor of Mars Hill Church in Seattle, had an opportunity to spend 32 hours in Haiti. I was moved greatly by his recounting of his time there. My respect for Driscoll has grown over the years. This is one sermon I feel good about passing along! Begin now by praying for yourselves, that your sails would be ready to move where the Spirit blows (John 3:5-8). Begin praying for your church! It’s been said that when George Whitefield began preaching in England and America and when revival hit, he did not preach on having revival—he preached the pure gospel, and revival came. Revival is about falling in love with Christ and His Good News all over again. Begin praying for who you may invite. Try this: pray and ask God for him to give you ten times. Now, don’t overspiritualize this exercise: if a name comes across your mind, write that name down—that’s a name that God sent to you! Write those ten names down, then invite them to come. Better yet, offer to bring them! Begin praying about the follow up! During these special times, God impresses on our hearts many things, and as a result we make a lot of commitments to God and to one another. Yet, with those high expectations, Satan may bring discouragement when the issues of life confront us. Don’t be alarmed by this. God has promised to give us gospel-strength in the midst of those trials—not remove them from us (John 16:33; 2 Corinthians 12:9-12). Many of you have seen revival services and preachers come and go. Praise God that He sends His men to His church to revive His people in His Word by His Spirit for His glory (did you get that?). Be encouraged! This is not simply an event—it’s a time of focus, revival, renewal, and motivation to be salt and light in this world. 1. I pray that they would love Jesus with all their heart, soul, mind, and strength and that ministry would never become a mistress that steals them from their first love, Jesus Christ. 2. I pray that they love and serve their wife and kids with gracious and glad hearts and that their family loves the church instead of hating it for stealing their daddy or husband away from them. 3. I pray that they would be anointed by the Holy Spirit and filled with passion, conviction, and dedication to their calling, their own spiritual growth, and to Jesus Christ. 4. I pray that for confidence and humility: that they would walk in power and authority to lead, all the while kneeling in humility as gentle shepherds who care for people’s souls. There is a pastor whose Twitter feed I occasionally read, but I shouldn’t, because it absolutely drives me nuts. A large portion of my reaction is tied to my own issues, I’m sure, but I see in his broadcasts an almost pathological intention not to mention Jesus. And as I thirst for Jesus, I notice this withholding lots and lots of places everywhere else. I have been and always will be doggedly suspicious of pastors who rarely (or never) mention Jesus. Pro-choice advocates like to point out that abortion has existed in all times and places. Yet that observation tends to obscure the radicalism of the present abortion regime in the United States. Until very recently, no one in the history of the world has had the routine job of killing well-developed fetuses quite so up close and personal. It is an experiment that was bound to stir pro-life sentiments even in the hearts of those staunchly devoted to abortion rights. Ultrasound and D&E bring workers closer to the beings they destroy. Concerning the fact of difference between the Revised and Authorised Versions, I would say that no Baptist should ever fear any honest attempt to produce the correct text, and an accurate interpretation of the Old and New Testaments. For many years Baptists have insisted upon it that we ought to have the Word of God translated in the best possible manner . . .. By the best and most honest scholarship that can be found we desire that the common version [KJV] may be purged of every blunder of transcribers, or addition of human ignorance, or human knowledge, so that the Word of God may come to us as it came from His own hand. Top Ten Best (and Worst) Communicators of 2009 by Bert Decker. I realize this is late in coming, but the lessons we can learn from communicators (both good and bad) can help us greatly wherever we may find ourselves. Some bristle at the notion that elders/overseers/pastors have authority in the church. Yet, this authority has not been bestowed by his own personal ambition, by the desire of a pastor search committee or a church body. This authority has been bestowed by Christ. As preachers preach from the Scriptures, led by the Spirit of God, they become the voicebox of God. To reject the preaching of the minister is to reject the preaching of God’s Word. Therefore, pray that your pastor and all pastors of all churches will be so surrendered to the word of the Lord as well as the Lord of the Word so they may rightly lead the people of God in the way he has ordained. How so? First, God has called pastors to oversee the gospel-direction of the church. While every person who is a member of God’s church has a part in the church, it is the elder/overseer/pastor who has been given to this task full-time. The church is the heartbeat of every pastor—and seeing the church follow in the path of Christ who redeemed His church through His glorious work on the cross. Do you love the church? Romans 12:10 tells Christians to "Love one another with brotherly affection." The affection and love we’re to have for fellow-Christians is to be based on the work of Jesus Christ for us. It’s not about elitism, it’s not because Christians are better than anyone else, it certainly isn’t because Christians are necessarily more lovable. We love the church because we love the Savior who redeemed the church. Acts 20:28 tells us that Jesus obtained the church with his own blood. Is this what your love for the church is based on? If it’s anything less, it won’t last long. The word steward comes from the Greek (oikonomos) which means being the manager of a household. One considers Joseph in the book of Genesis, whom Potiphar made “overseer in his house and over all that he had the LORD blessed the Egyptian’s house for Joseph’s sake; the blessing of the LORD was on all that he had, in house and field. 6So he left all that he had in Joseph’s charge, and because of him he had no concern about anything but the food he ate” (Gen 39:5-6). Notice that pastors (a derivative of the word ‘shepherd’) are not to rule with an iron fist, but a shepherd’s stick. You see the rod of the shepherd served a number of uses. One use was to guide the sheep along the path that the shepherd knows oh so well. Another was to use in warding off those who would seek to devour the sheep. The third use served to actually count the number of sheep as they would pass “under the rod” (Ezek 20:37). They are to clear the way that they know so well, because they know their shepherd’s way so well. Lastly, God has called pastors to having teaching authority in the church. Look at Titus 1:9: “He must hold firm to the trustworthy word as taught, so that he may be able to give instruction in sound doctrine and also to rebuke those who contradict it.” Elders and deacons have similar qualifications, but what distinguishes elders from deacons is that elders must have an ability to teach. Elders take care of the spiritual aspect of the congregation, the deacons deal with the physical issues of the members and even the building. There is a two-fold rationale: instruct the faithful in sound doctrine, and to rebuke those who contradict that same sound doctrine. Richard Baxter was a pastor in the 1600s. What makes Baxter so special is his desire not simply to preach in the house of God, but to teach in the homes. Baxter’s passion did not simply come in delivering a sermon, but shepherding his people by teaching them the Word of God on numerous, more personal occasions! Does this information cause you to pray for your pastor all the more? [i]Quoted in C.H. Spurgeon, Lectures to My Students (Carlisle, PA: Banner of Truth Trust, 2008), 2. [i]Joshua Harris, Wrong Reasons to Love the Church. Accessed 23 January 2010, available http://joshharris.com/2010/01/wrong_reasons_to_love_the_chur.php [on-line]; Internet. [ii]John Calvin, The Commentary on Hebrews, accessed 23 January 2010; available at http://www.ccel.org/ccel/calvin/calcom44.xix.iv.html [on-line]; Internet. [iii]Richard Baxter, The Reformed Pastor, 5th ed. (Carlisle, PA: Banner of Truth, 1974), 112. On December 19, 2009, I had the privilege of officiating the wedding of Eric Masters and Sarah Wasson. I (center) was privileged to officiate this wedding at the Willow Grove Baptist Church in Danville, Kentucky. I enjoyed doing this wedding. I had the pleasure and the responsibility of conducting pre-marital counseling with the two of them and enjoyed getting to know them not just as individuals, but as a couple. The wedding rehearsal and ceremony was a lot of fun. Getting to the rehearsal was a chore given the weather and the Christmas shopping traffic, but we had some sweet fellowship at the dinner. The ceremony brought out family and friends from all over to witness this joining. Having been married 11+ years, I recognize there are still some stages of life still to come for Cindy and me. But I believe I can still pass along some advice that may aid you in your marriage. You’re both sinners. Deal with it. Dave Harvey in his book When Sinners Say ‘I Do’ (review of this book forthcoming), notes that couples walk the aisle with a lot of baggage in tow. But you also walked down that aisle with hearts full of love—love toward God in providing your spouse to you, and and God-filled love for your spouse as well. As Christ dealt mercifully with His bride (the Church – Eph 5:28ff), so you are to deal mercifully and graciously with one another. It’s you against the world. Remember that! The world hates marriage, working to destroy or redefine the institution that God created—all in the name of sexual freedom. The devil hates marriage not only because God created that institution (Genesis 1:26-31), but also due to the fact that its a glorious picture of Christ and the church. And, sad to say, at times your flesh may hate marriage. In our default mode, we long to be self-sufficient and detest answering to anyone else but self (see Genesis 3). Yet, you will find the most freedom within the confines of marriage because marriage is one of the most sanctifying relationship on the planet. Through marriage, we see our weaknesses and our sins reflected back to us. And that’s a good thing. We can only repent of sins of which we are aware. Your goal is to strive toward Christlikeness—not ‘me-likeness.’ In leading in from #2, our goal is not to craft our spouse into our own image and our will, but to Christ’s. This is where we have to beware of certain marriage curriculums which have us only observe ‘love languages’ that we understand. It’s not about us. It’s about us seeing the gesture of love given by the other, and by the mercy and grace of Christ receiving it as such! The biggest enemy we have is our own sinful, selfish expectations. God has laid out in His word what to expect—we lead with grace, mercy, and a desire to help others (especially our spouse) strive toward holiness (Hebrews 12:14). There is more I could talk about: raising kids, finances, work, etc. But I believe these three issues are very, very foundational. Congratulations, Eric and Sarah! Many God give you many Christ-filled years together. Does Institutional Structure Freeze the Flow of the Spirit in our Churches? 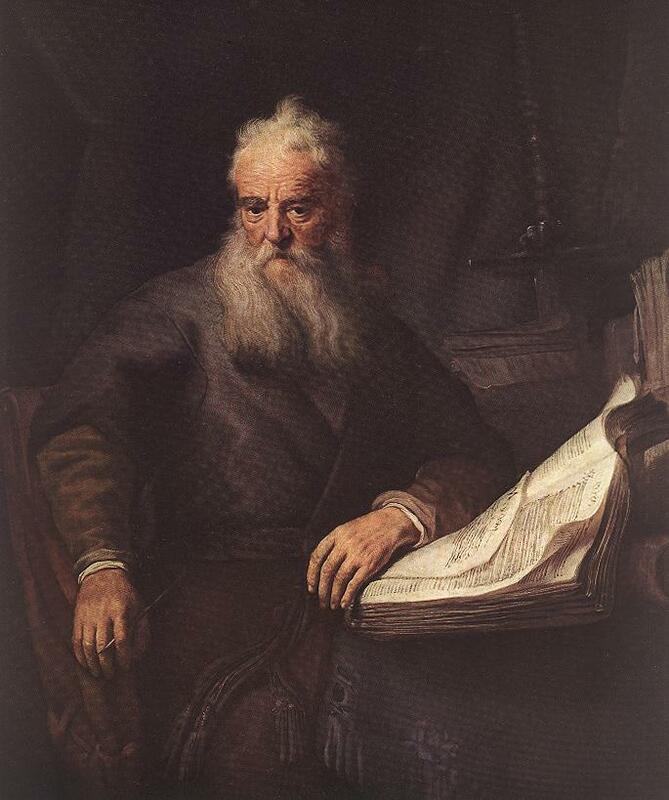 Paul commissioned Titus to “appoint elders in every town as I directed you” (Titus 1:5). In other words, part of God’s plan for a pure church is to have pure, Spirit-driven leaders leading God’s people. This has always been the case, as we have seen with the priesthood and the prophets of Old Testament times—they were God’s visible leaders who, themselves, were to be led by God and to also identify with the people they were leading. "Critics of ‘churchianity’ hold that institutional structure freezes the flowing streams of the Spirit. The task of the church is indeed spiritual: . . . to worship God, to nurture the people of God, and to bear witness to the world in mission. Yet no less spiritual are the means that Christ has provided by which we are to achieve these three goals. The Spirit of God brings order, as well as ardour” (Ed Clowney, The Church). So while God calls his church to be led by the Spirit, part of that is God establishing leaders. What do these leaders look like? By leaders, we mean that they are ones who have authority over the people of God. Some have abused this authority in ways too many to count, while others have abdicated or refused this authority due to a fear of confrontation or rejection. And as a result, those who would follow buck against their leadership because they are either abrasive and overbearing, or because they are spineless and therefore lost their respect. Leaders ones who are led by God so they may lead God’s people.